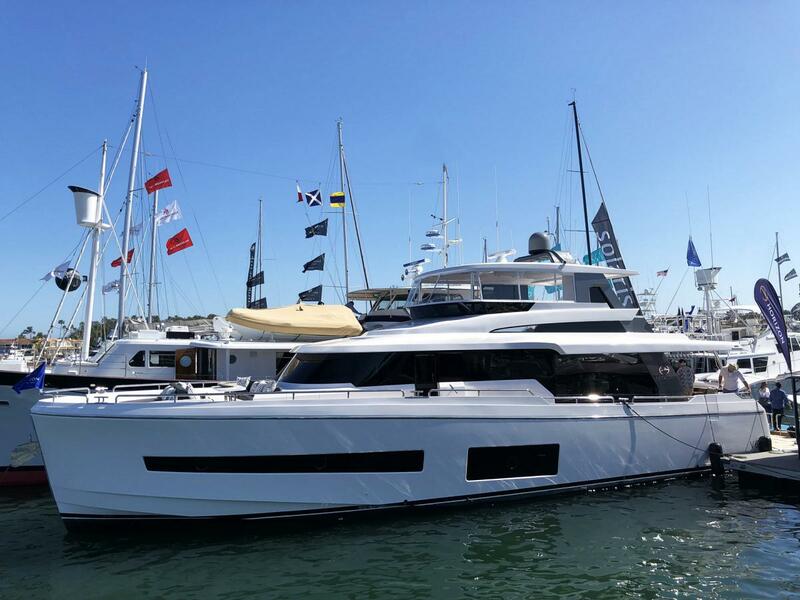 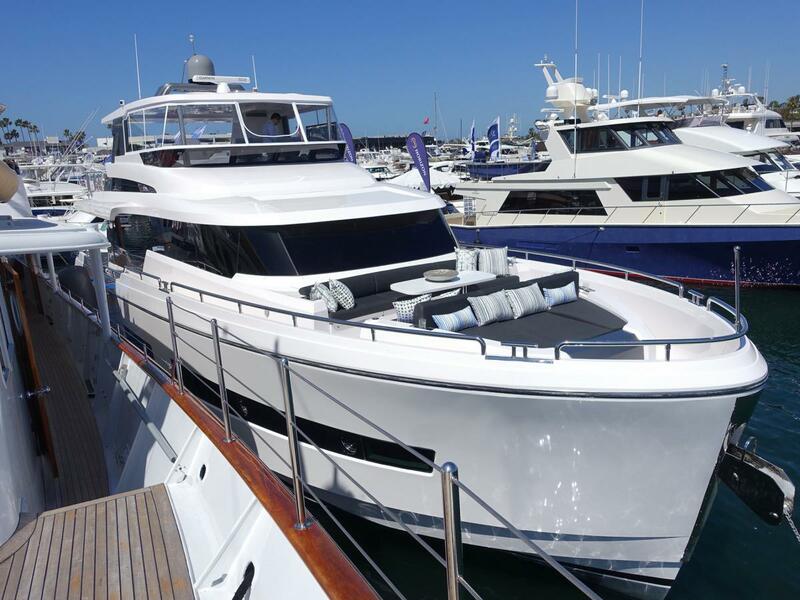 The Horizon V68 motoryacht – one the latest models to emerge from the company’s successful luxury yacht lineup – recently made her U.S. debut at the Newport Beach Boat Show in Newport Beach, CA. 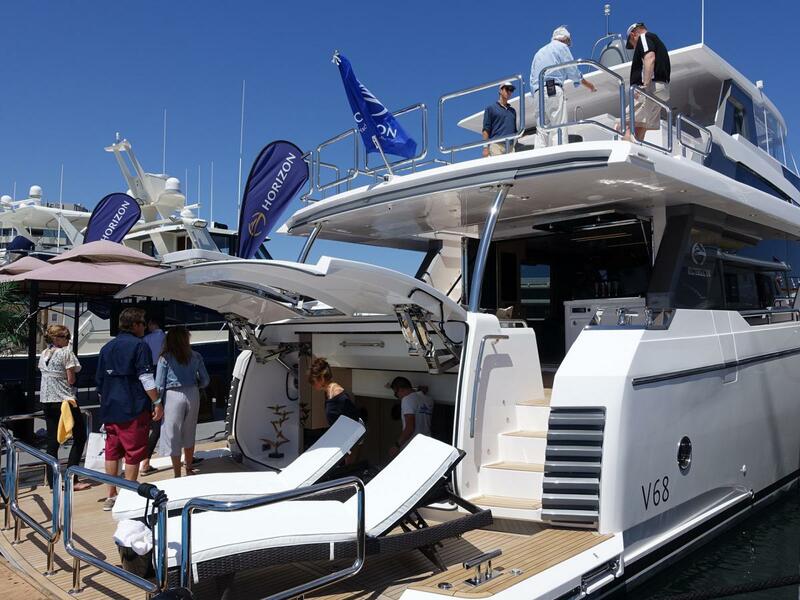 Boasting a superyacht attitude within an owner-operator size, the new Horizon V68 was designed in collaboration with Jonathan Quinn Barnett (JQB), a world-renowned designer who focused on providing long-term cruising in a custom yacht under 70 feet. 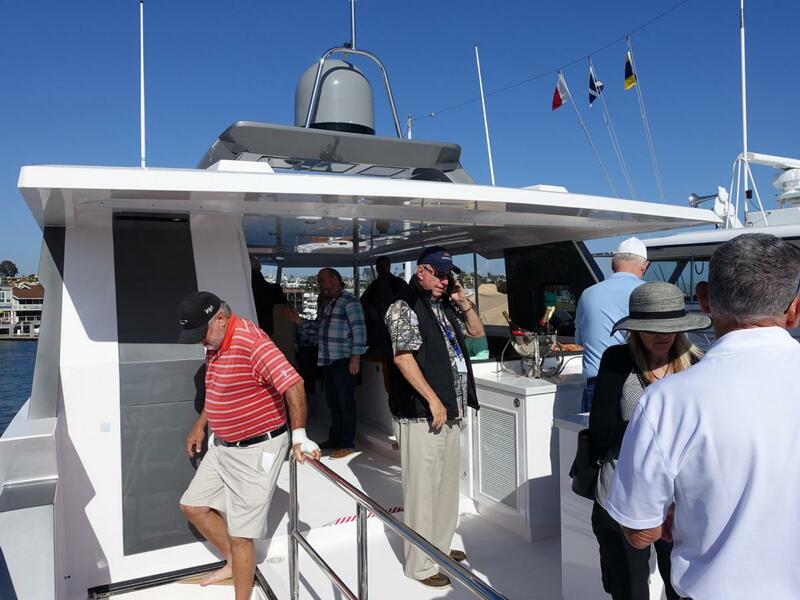 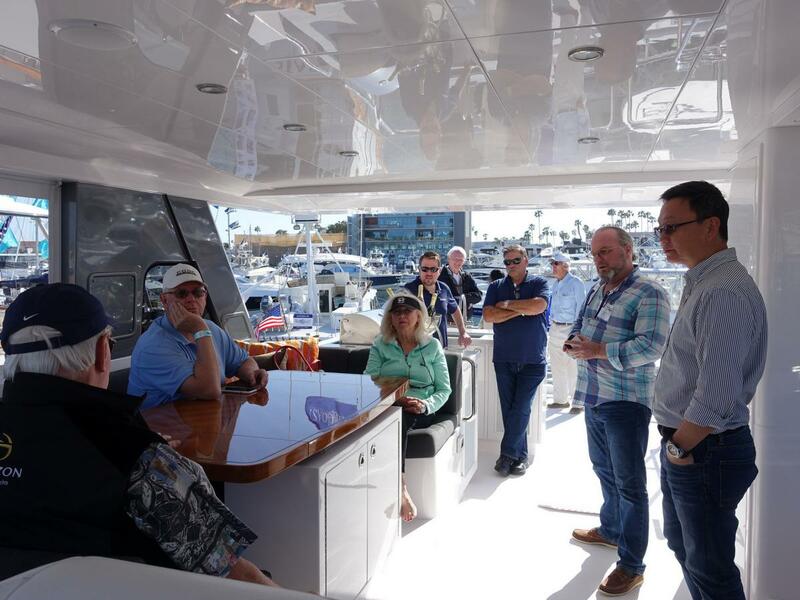 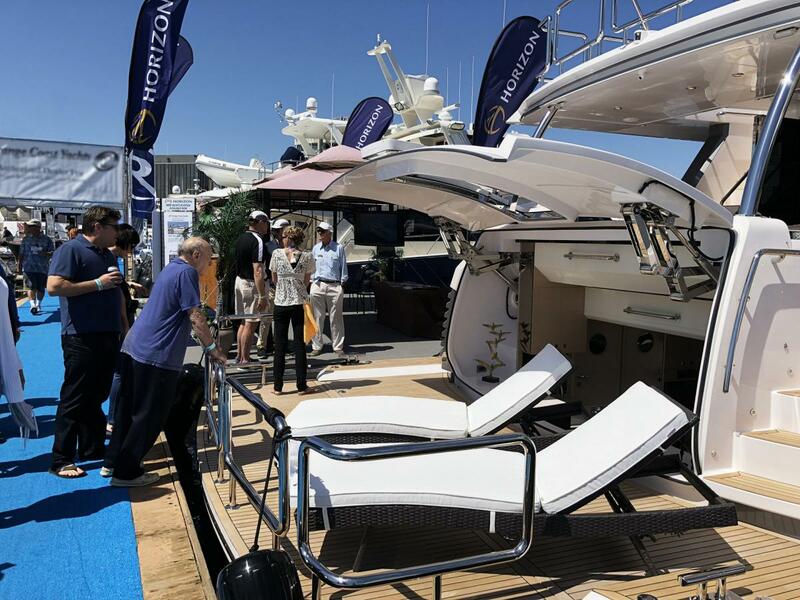 Horizon was overwhelmed by the response to the new V68 from clients and show visitors, many of whom came by after hearing the buzz around this exciting and “must-see” new model. 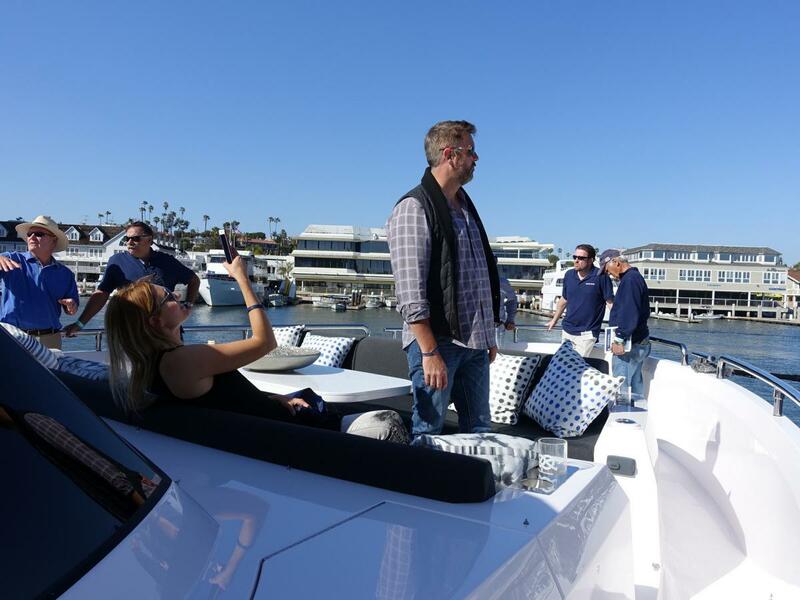 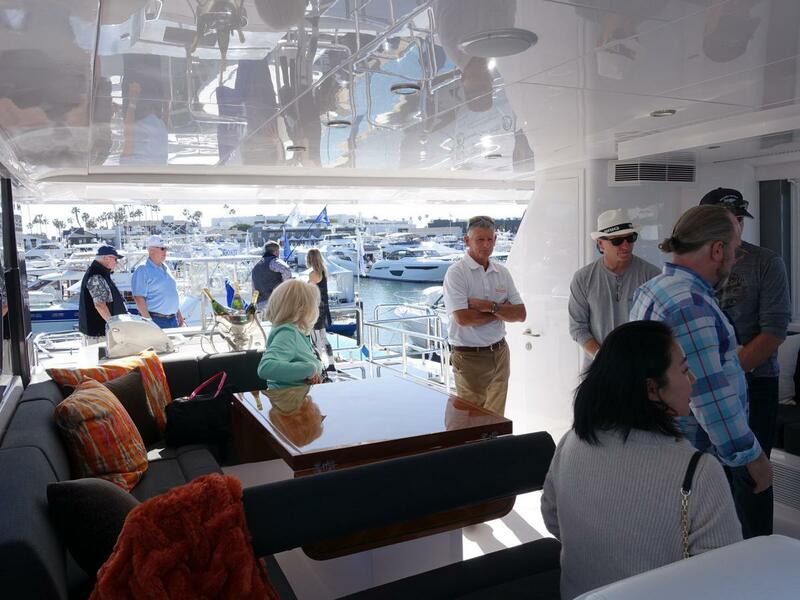 Many visitors were in awe of her interior volume, thanks to the 19’6” beam, and her outdoor areas, like the spacious aft deck and beach club, were noted as perfect spots for alfresco entertaining. 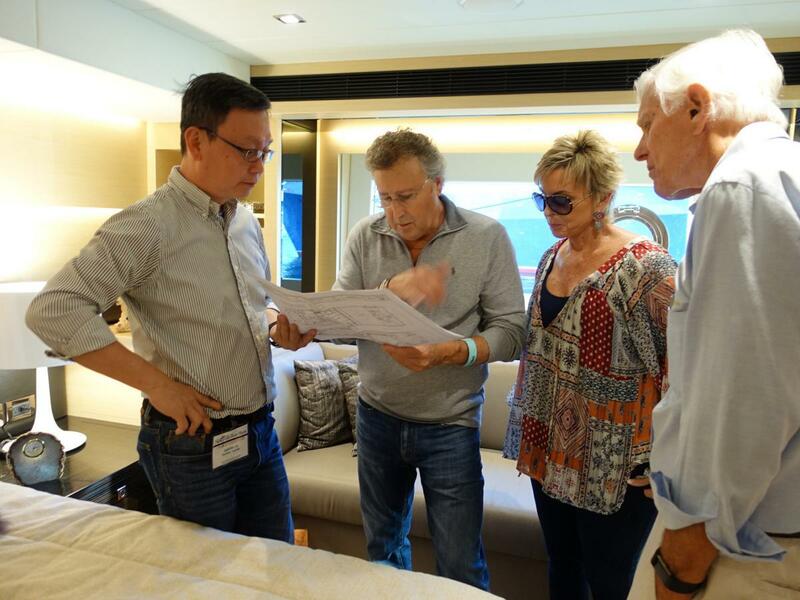 Designer JQB was in attendance of the show along with Austin Lin, General Manager of Horizon’s Vision shipyard – both were on-hand to provide clients with detailed information on the development, design, and construction of the V68 as well as review ideas for customizations to suit varying boating lifestyles. 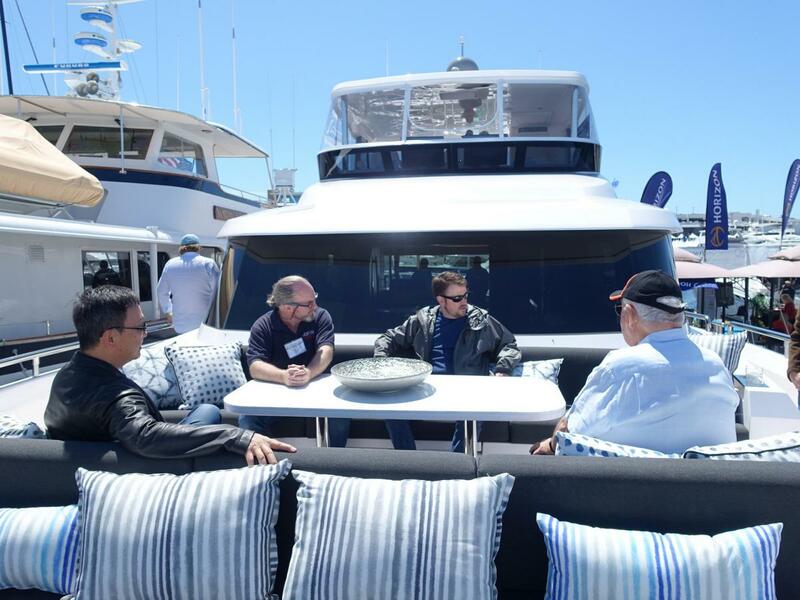 “We were happy to participate in the show and welcome the opportunity to continue promoting this beautiful new design,” said JQB. 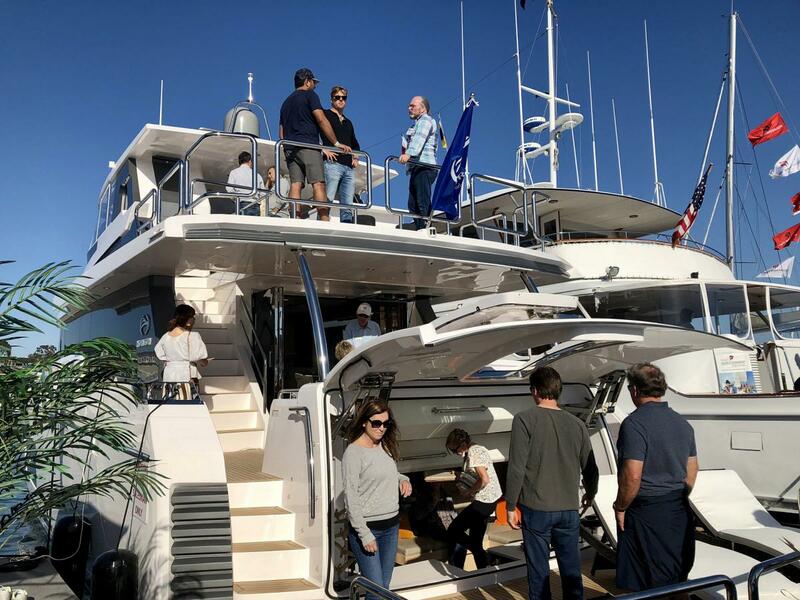 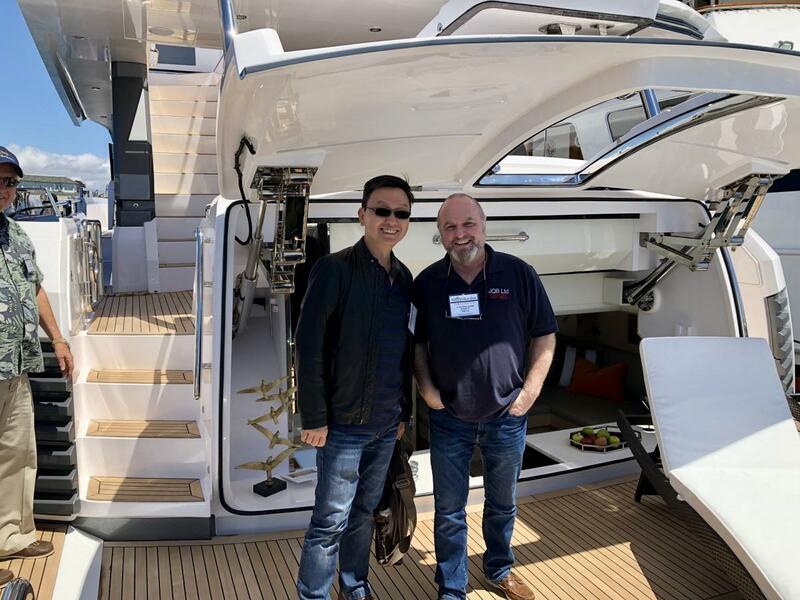 All in all, the debut of the Horizon V68 motoryacht was hailed a great success, and we would like to extend our sincere thanks to all visitors who came to see this amazing new model at the show!